The original nucleus of the Boboli Gardens dates back to 1418 when Luca Pitti bought some land on the south of the river Arno (Oltrarno) from the Borgolo family, to build a magnificent palace. Pitti Palace will be built in that place only forty years later. 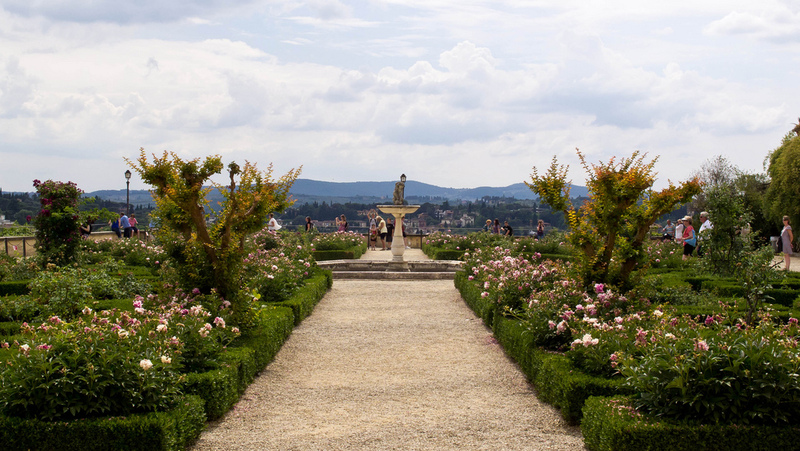 The landscaping of the garden was commissioned by the Medici family, who had become owners of the building, to Niccolò Tribolo, former architect of the gardens of the Medici villas of Castello and Petraia. However, it was Bartolomeo Ammannati who completed the works after the untimely death of Tribolo. The pietraforte used to build Palazzo Pitti was taken right from the Boboli Gardens: Excavations created a hollow in the ground that still exists today and is clearly visible. 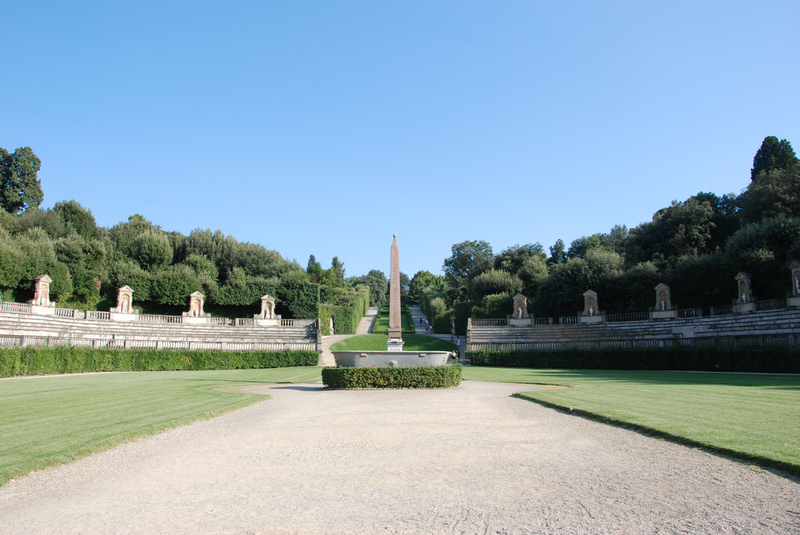 At the top of the gardens are partly surrounded by the ancient defensive walls belonging to the near Forte Belvedere. Around the main garden axis develop avenues, hedges, terraces adorned with statues and fountains that make Boboli a real open-air museum, but there are also several important buildings that occupy part of the gardens. One of the first buildings is the Amphitheater (Anfiteatro), which opened in 1637. It originally contained the Fountain of the Ocean (Fontana dell’Oceano), which was instead placed in the seventeenth century in the Isolotto (the small island located at the end of the south-west part of the garden), to allow theatrical performances in the Amphitheater. Still overlooks the amphitheater a valuable Egyptian obelisk placed in the gardens by the Grand Duke Peter Leopold, along with a huge vat of gray granite from Roman times. The waters that irrigate the garden are contained in the Basin of Neptune, created in 1777, which houses the Fountain of Neptune (Fontana di Nettuno), called by the Florentines “Fountain of the Fork” (Fontana della Forchetta). The Boboli Gardens include many green areas separated as the Garden of Knight (Giardino del Cavaliere), built on part of the ramparts made by Michelangelo in 1529. It is home to rare and fragrant plants, boxwood hedges, and a picturesque fountain called Fontana delle Scimmie (Monkeys Fountain). The main building of this area is the Casino del Cavaliere, who was a place of recreation of the Grand Dukes of Tuscany and now houses the Museum of Porcelain (Museo delle Porcellane). Another important building of the garden is the Kaffeehaus, rococo pavilion where you can enjoy a beautiful view of Florence and the Fountain of Ganymede (Fontana di Ganimede). Another curious and picturesque place is the Grotto of Madama (Grotta di Madama), designed by Tribolo and richly decorated with sponges and stalactites. Among the precious sculptures that enrich the Boboli Gardens include the statue of Seated Jupiter (Giotto Seduto) by Baccio Bandinelli, and some statues from the Roman Forum of Trajan. The most curious sculpture gardens is probably the so-called Bacchus with the homonymous fountain. It is located near Palazzo Pitti and depicts the obese dwarf Morgante, the most popular of the dwarves of the court of Cosimo I. Near this fountain is located at the entrance to the Vasari Corridor, the raised passageway connecting Palazzo Pitti and Palazzo Vecchio. The most valuable building in the Boboli Park is maybe the Buontalenti Grotto (Grotta del Buontalenti), built between 1583 and 1593. The cave is a masterpiece of architecture and sculpture and a fine example of mannerism. It was begun by Vasari and completed by Buontalenti by Francesco I de ‘Medici. The interior is very large and entirely decorated with stalactites, sponges and statues in the style linked to the alchemy that the Grand Duke loved. The elements of nature in fact seem to come to life and go out from the walls, as well as the famous Michelangelo’s Prisoners, originally placed here before being moved to the Accademia Gallery. The rooms of the cave are three and include decorations with shells and sponges, as well as works such as Venere che esce dal bagno (the Venus emerging from the bathroom) by Giambologna. The frescoes inside the dome and water features inside the cave complement the style of the unique and bizarre place. The larger space of the Boboli Gardens is the Prato dell’Uccellare (Bird Hunting Lawn), crossed by the Viottolone (Big Lane). The lawn is surrounded by trees and is home to a sculpture by contemporary artist Igor Mitoraij. The avenues that flank the Viottolone are large and rich in sculptures, such as the Olympian Zeus attributed to Giambologna or the Serie dei Giocatori (Players Series), curious depiction of the main games in vogue at the time of the Grand Duchy. The largest water basin in Boboli Garden is the Vasca dell’Isolotto (Small Island Bath) built in 1618. This place is full of priceless works of art created largely by Giambologna as the Perseus and Andromeda. Another important building is the Limonaia (Orangery or Winter Garden), still retaining ancient trees belonged to the Medici family. It was once used to house exotic plants and animals that aroused the curiosity of the Medici. Finally, an other interesting building is the Palazzina della Meridiana (Meridian Palace) which houses today the Costume Gallery. The ticket also allows entry to the Porcelain Museum, the Silver Museum, the Museum of Costume and the Bardini Gardens. 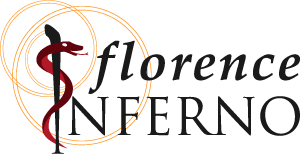 The Florence Inferno tour — a full-day walking tour of Florence on the footsteps of Robert Langdon — starts with a complete guided visit of the Boboli Gardens.